What to do on a rainy night in Managua? Does the onset of the rainy season in Nicaragua give you the blues? 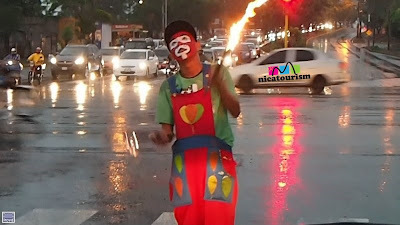 Fear not my friend...many a traffic light in Managua will still be the setting for really good entertainment, as this clown, near ENEL Central in Managua, gives proof of.